After major success with their single Omunye and their Gqom Is The Future album, Distruction Boyz have taken home their very first award. The Durban-born duo walked away with the award for Best Group/Duo at the Soundcity MVP Awards in Nigeria on Friday, January 12. “Last night we won our first award and we won it in another country! WOW!” The group wrote on social media. “South Africa this is your victory. History has been made again,” they went on to say. 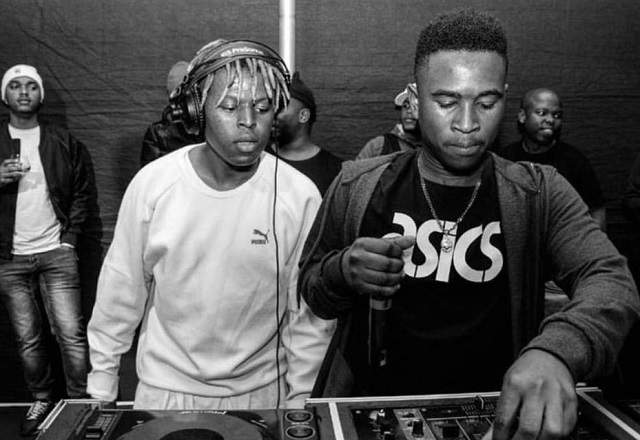 In 2017 the duo’s debut album Gqom Is The Future reached gold status. Meanwhile, South African rapper, Cassper Nyovest is having so much fun in Lagos, Nigeria, that he’s not even missing home right now. Abuti Fill Up, as he has come to be known has been in Nigeria for a week now. He flew out to attend the annual SoundCity MVP Awards where he was honoured with the Best Hip Hop nod. These are the same awards which honoured our very own Distruction Boyz with the Best Group/Duo award, the group’s first award. Although the awards happened on Friday, Cassper says he’s in no rush to come home. Fans who follows him on social media will have seen that the rapper has taken the opportunity to work on some music with international sensation, Davido. Cassper hasn’t been all work in Lagos, however. He’s also been partying up a storm with Skepta, a London-based rapper. “I’m not in a rush to leave Lagos!!!! Go monaaaaaaaate!!!! Making Bangers everyday!!! More hits for your head!” Cassper said on social media.— DailySun.